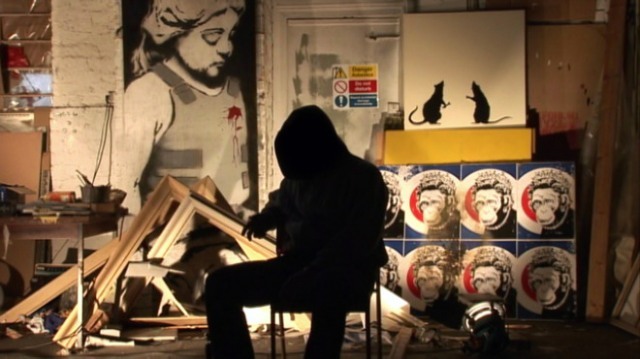 Banksy speaks from the silhouette of his studio's abode. “As far as I’m aware, Mr. Brainwash doesn’t know very much about art, especially his own. He seems to mainly judge the success of an art show by how many square feet it covers and whether it makes any money. This probably makes him the ultimate artist of our times.”Connnnnnn-Artist You Proclaim?